At least once a year, the Management Council meets on Gotland. Last Monday, it was time again. We left Uppsala early in the morning and arrived in a beautiful, snowy Visby in time for mid-morning coffee. Before lunch, the Management Council held its ordinary meeting. The main question on the agenda was how to create scope for renewal in education and research. At the moment we have some scope for expansion and want to use it to launch new initiatives. The disciplinary domains have identified desirable new initiatives, which we discussed together with a view to arriving at University-wide priorities. All the disciplinary domains have good proposals and ambitious aims. One question that came up in particular is how to facilitate boundary-crossing courses drawing on the entire breadth of the University. Discussions will continue. When we are on Gotland, we take the opportunity to meet as many people as possible, to listen and to see as much of the University’s activities as we can. At the same time, it gives us a chance to talk about what’s going on in Uppsala. During lunch, we visited Campus Gotland’s students’ union Rindi (which means ‘ivy’ in the local dialect Gutnish). Rindi has its premises in the old Jugendstil bathhouse right next to Almedalen. 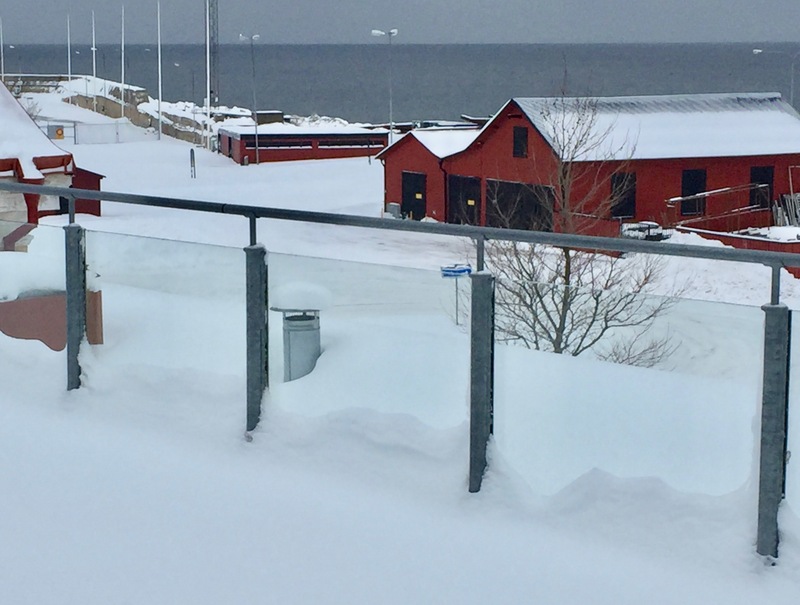 The most urgent issue for students at the moment is the availability of student housing year round in Visby. In the summer, Visby’s population expands by more than 300,000, so the pressure on accommodation varies substantially in the course of the year. Another priority issue is how to integrate the increasing numbers of international students coming to Gotland. The afternoon continued with a strategic discussion on the development of Campus Gotland. This year it is five years since Uppsala University and Gotland University College merged and Campus Gotland was established, so it is natural to look both backwards and forwards. So far it has been a success story. We have accomplished a lot but we want to do more. In December, the University Board adopted a new programme for Campus Gotland. Now we are working on making the visions a reality – more students on campus, increased internationalisation, stronger research environments, more multi- and interdisciplinarity, regional collaboration. In the longer term, a fifth of the students on Gotland will be international students. The University has two Bachelor’s programmes in English, which are given in Visby, and more will start in the autumn. What sort of demands does this make on teaching, support and service? We also want the number of doctoral students on Campus Gotland to increase. What are the challenges? 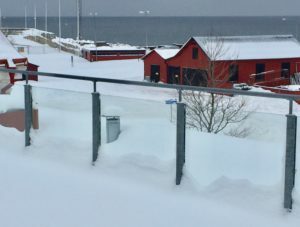 Gotland is a suitable campus for boundary-crossing cooperation between departments – why is it so difficult to achieve this? Many of the challenges are the same throughout the University. The discussion made it clear that Campus Gotland can help develop solutions that will benefit the entire University. In the afternoon we also had time for a well-attended staff meeting. 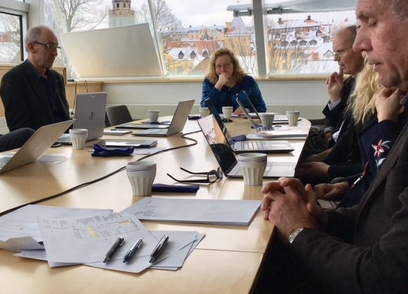 The Vice-Chancellor, vice-rectors and University Director had a chance to talk about current issues in their area and to focus in particular on all that is going on at Campus Gotland. We concluded the day by meeting politicians and officials from the local authority Region Gotland. It was pleasing to be able to show them figures illustrating the positive developments at Campus Gotland – all the trends really do point in the right direction. We have doubled our direct government funding for research, student numbers are up, more degree programmes are offered, more teachers are in place. Visby is now a real university town, and feels it. The presence of more students makes a difference to Visby in many ways, all year round. We had a chance to take up the need for housing, as well as the question of ways to support accompanying family members when recruiting more teachers, researchers and doctoral students. There is a lot of willingness from all actors on Gotland and the climate of cooperation is good. It was also fascinating to hear about developments on Gotland, low unemployment, high business start-up rates, the strategic position with a growing military presence, the growth of tourism and hospitality, etc. The challenges include skills shortages and the demographic trend. There is a great potential for cooperation and our partnership agreement provides a solid basis for collaboration. After a really good day, we headed back to Uppsala. Campus Gotland is a meeting place for knowledge, culture and critical dialogue, just like Uppsala University as a whole, but in its own special way. It is a unique place, and an academic environment that provides unique opportunities for Gotland, and for all of Uppsala University.